Do Athletes Need More Iron? Iron helps to improve haemoglobin levels (also known as Hb), which is responsible for sending oxygen into the brain and the muscles. It also increases the rate we utilize nutrients for the use of energy. 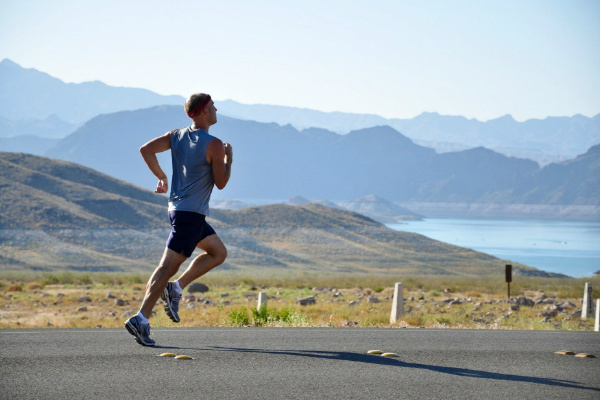 When we exercise to higher capacities, where oxygen may not reach the muscles quickly enough. Such as sprinting and swimming in the 100m freestyle – additional haemoglobin is needed. This is where iron helps to ‘up’ Hb amounts to transport oxygen into the muscles. It wasn’t until after the competition that she found out she was deficient in iron, which was to blame for her sub-optimal performance on race day. This highlights iron’s important for athletes. To learn about iron: read my in-depth review on iron here. How Much Iron Should Athletes Use? As previously mentioned, iron is partly made up of haemoglobin, which represents about ⅔ of the body’s iron stores. It’s the role of haemoglobin to transport oxygen from the lungs throughout the body. Therefore, if you have just a slight drop in iron, your performance in the gym or your chosen sport may see a decline. By adding more iron into your diet, especially in your pre-workout meals. It will give you an added boost to your training session, or competition performance. When we exert energy, we need oxygen to transport vital nutrients and amino acids around the body to provide us with the energy we need to perform at our peak. Energy production summarised: The mitochondria takes fats, carbohydrates (glucose) and amino acids, sending them into the muscles and brain. This process is complex, requiring other elements such as magnesium, and yes, iron, to transport the foods we eat into the mitochondria. Which is then produced into adenosine triphosphate ATP – the energy supplier to our cells. So, why do athlete need more iron? It’s simple really. If you’re putting your body into an environment that requires more oxygen, you’re going to need additional iron to transport oxygen into the working muscles. By having more iron in your blood, which equates to additional haemoglobin (the transporter of oxygen), you’ll then be able to workout harder for longer without experiencing fatigue as easily. How much iron you’ll need may depend on several factors. Such as if you’re a male or female, your age, weight, and activity level. Also, for those who follow a strict vegan or vegetarian diet may also find it difficult to obtain adequate iron levels. This is of course if the diet does not contain dense, iron-rich foods, which will then require additional iron supplementation. As for active individuals, the rate at which we expel metals and minerals is increased. So, how much iron do YOU need? This will be very individualistic. But, if you stick with the RDA as mentioned above, and monitor your progress, you should be good to go. If you feel you need more, don’t go above 45 mg per day, as this is the upper limit before it becomes toxic. This higher limit may be suitable for strict vegetarians who train frequently at higher intensities. I hope this article helped to clear up the question: “do athletes need more iron?”. As you can see, iron will increase haemoglobin levels, which will help to transport more oxygen around the body, and with it, essential nutrients that we need for energy supply in the mitochondria forming ATP. Not only that, iron helps to create more red blood cells, which transports all of our nutrients and oxygen around the body. As for how much to use, stick with the RDA as mentioned above and asses your performance. Remember, if you’re a strict vegan/vegetarian, you may need to add as much as 45 mg per day back into your diet. Especially if you exercise frequently – but this is the upper limit, so don’t go over this amount. If you have any more questions surrounding iron and how it can benefit your performance or your overall health, please leave me a comment below. Don’t forget, you can: read my in-depth review on iron here.